Only at Tn Nursery can you get the most strong and powerful planting soil on the planet! 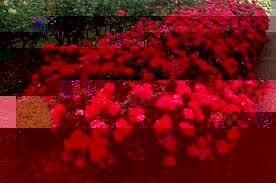 Fast Growing Planting Soil gives all plants more massive blooms and more dynamic, deeper colors. Mild enough to use on fragile perennials yet strong enough to make significant shrubs and trees wake up and be beautiful with color and vibrancy. Fast Grow Planting Soil Is sold in 1,2 and 5 Gallon Bags. Buy More, Save More! Rapid grow soil promotes the growth of plants up to 4 times faster. Guaranteed results! Buy Fast Growing Planting Soil for all your plants to increase growth, appearance and make them have large blooms and a more in-depth color for blooming plants. It comes in 1 Gallon Bags. Enhance plant and tree growth up to 40% faster. The soil is gentle on fragile flowers and plants but is strong enough provide trees and shrubs with bright, vibrant colors. You’ll be amazed at the large flowers on blooming plants, and the intensity of the color, especially on roses and all seasonal flowers. The soil is ideal for all trees, plants, and ferns. Plants may grow up to four times faster than when you use regular planting soil, and trees may grow up to 40 percent faster. When you want an area to plant that has healthy soil to benefit your trees and shrubs, Fast Growing Planting Soil is all you need. The soil will make your plants mature faster and stay healthier. No matter what the size of your plants is, the soil will be the best product you can use. Fast Growing Planting Soil is available in one, two, and five-gallon bags, and the more bags you buy, the more you’ll save on your order. The recommended use of the planting soil is one gallon for each shrub or tree. One gallon of the soil should be used for every ten small plants including ferns, miniature plants for the garden, perennials, and vines. The directions for planting are to apply Fast Growing Planting Soil all around the roots of your plants and cover over with regular soil. The soil is the perfect additive for all types of plants and is the most effective planting soil you can use. Adding Fast Growing Planting Soil is the fastest, most efficient way to have stunning blooms and healthy, green trees and shrubs. My perennials love this soil! My plants loves this soil! So worth it! All my plants love this soil! This soil really does work amazing!! Totally worth it! My plants love this soil!